OTTAWA, September 19, 2017 – C-COM Satellite Systems Inc. (TSXV: CMI), a leading global provider of mobile auto-deploying satellite antenna systems, announced today that it has delivered a quantity of its iNetVu® mobile antennas systems to Peru. These mobile VSAT antenna systems were purchased from C-COM by Speedcast and are being deployed in Peru to deliver secure communications across the country. “We are pleased to have been selected by Speedcast to provide their customer in Peru with the most cost effective and reliable solution on the market today. The C-COM team was able to integrate, test and deliver this sizeable urgent order to Peru in under 2 weeks,” said Drew Klein, Director of International Business Development for C-COM Satellite Systems, Inc.
C-COM Satellite Systems Inc. is a world leader and pioneer in the development, manufacture and design of commercial grade, mobile satellite-based technology for the delivery of Broadband Internet to any location via Satellite. C-COM has developed proprietary, one-button, auto-acquisition controller technology that allows the user to find satellite with just the press of a button and deliver and receive High-Speed Internet where terrestrial markets are overloaded or simply don’t exist. The company has sold almost 8,000 systems into over 100 countries around the world in vertical markets such as Oil & Gas Exploration, Military Communications, Disaster Management, SNG, Emergency Communications, Cellular Backhaul, Telemedicine, Mobile Banking, and others. The Company’s iNetVu® brand is synonymous with high quality, reliability and cost-effectiveness. C-COM is also involved in the design and development of a new generation of Ka-band (communications on the move) antennas, which will deliver satellite broadband solutions into vehicles while in motion. 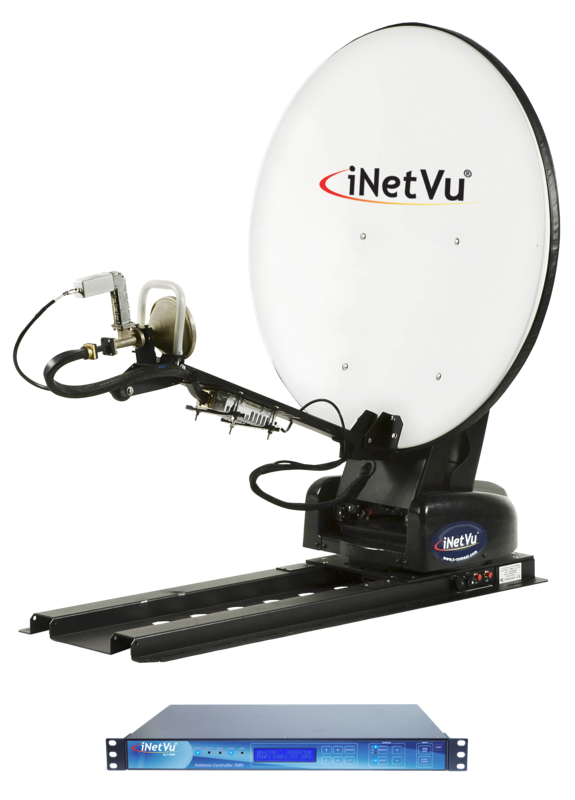 More information is available at: www.c-comsat.com iNetVu® is a registered trademark of C-COM Satellite Systems Inc.